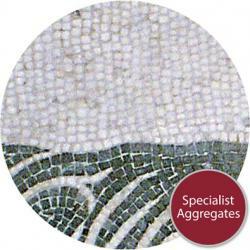 Specialist Aggregates » Aggregate News » In Search of Roman Worms ! Rome has to be the spiritual home of lightweight aggregates, for example the ingenious use of pumice in the dome of the Parthanon and the mass lightweight backfill to the terraces of the Colosseum. It must have been that we were developing lightweight vermiculite into our product file that I just couldn’t help spotting worms on a recent visit to the Eternal City. To explain – the mineral name vermiculite is derived from the Latin for worms or worm tracks – just think of Vermicelli, little worms!! 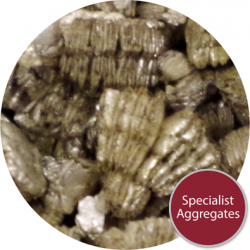 Vermiculite has a layered mineralogical structure very similar to our Bentonite clays. However, the difference in the mineral’s properties derives from its origin and the type of mineral from which the vermiculite is formed. 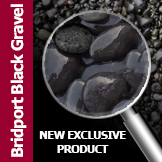 A wide range of rocks from granites to gabbro contain a group of minerals called biotite micas. Within that group Phlogophite is one member. This mineral has a characteristic sandwich mica structure with sheet-like layers of aluminosilicates loosely held together with layers of potassium/magnesium /oxygen. Over a long period of geological time, just like the rusting process we observe day to day, the mica can become weathered. During this process some of the smaller potassium ions in the sandwich are replaced by iron, effectively forcing the aluminosilicate sheets apart and giving room for the introduction of water molecules. This introduction of water during the weathering process is fundamentally important. If we now place the weathered phlogophite into a furnace at up to 10000C, the entrapped water, just like pop corn, will cause the mineral to “pop” or exfoliate as it is known in the industry. Amazingly at this point the mica’s original layered structure can be clearly observed as stacked “books” of lightweight vermiculite. I’m sure that the Romans would have loved to have built with a lightweight product like vermiculite, however, as well as showing the modern product, our images show an early Roman mosaic illustrating a method of positioning tesserae known as Opus Vermiculatum used to emphasise the outline of a subject. 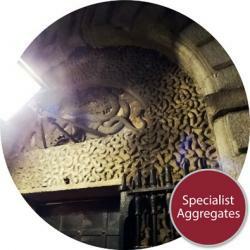 The word is also used in architecture for a worm-like surfacing of stone blocks known as vermiculation, as seen above the entrance to Kilmainham Goal in Dublin. 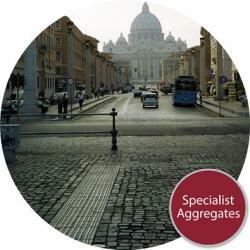 Finally perhaps I just may be able to describe paving looking towards St Peter’s and the Vatican as vermiculated. For more information, please visit this related link: Vermiculite.